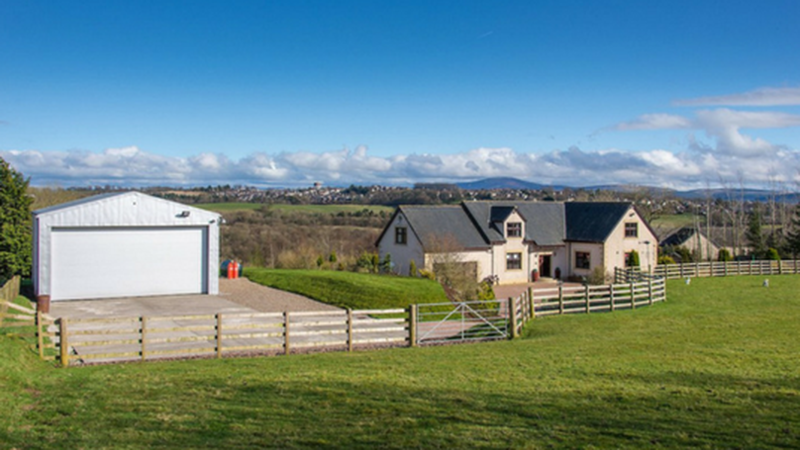 Galbraith, has recently launched an exceptional country home to the open market in South Lanarkshire. Glencotha is a beautiful home situated in a sought after rural location one mile from Lanark and commanding outstanding views over unspoilt countryside to the south and east. The property was built in 2002 to a bespoke design taking full advantage of its country position and offering spacious open plan areas. The scale of the property is evident when you first walk in to the large hallway with its elegant spiral staircase leading to the stunning split level sitting room and dining room. The fittings throughout are all of a high standard and designed with the modern family in mind, with particularly nice features including a contemporary wood burning stove in the dining area and Australian timber flooring throughout. The property comes with a superb fully enclosed and heated outbuilding and paddock area included within approximately 2.0 acres. The former double garage has been converted into a gym and can be accessed directly from the house. This is a really unique property offering a bespoke design in a truly beautiful part of the countryside. It is the perfect family home for those who may be considering a more relaxed pace of life or those keen to set up home in the countryside to enjoy the great outdoors, whilst being within easy reach of Glasgow and Edinburgh. The flexible accommodation and amount of space provides purchasers with great opportunities. Lanark provides an excellent range of local shopping facilities and a commuter rail service with Glasgow about a 50-minute journey and regular services to Edinburgh and Carstairs. The M74 and M8 motorways are within easy reach and Glasgow and Edinburgh airports are both within an hour’s drive. 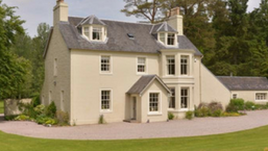 Glencotha, is for sale at offers over £625,000.